The longest Eclipse of the century is all set to take place in India, around 11:44pm IST today i.e, On 27th of July. 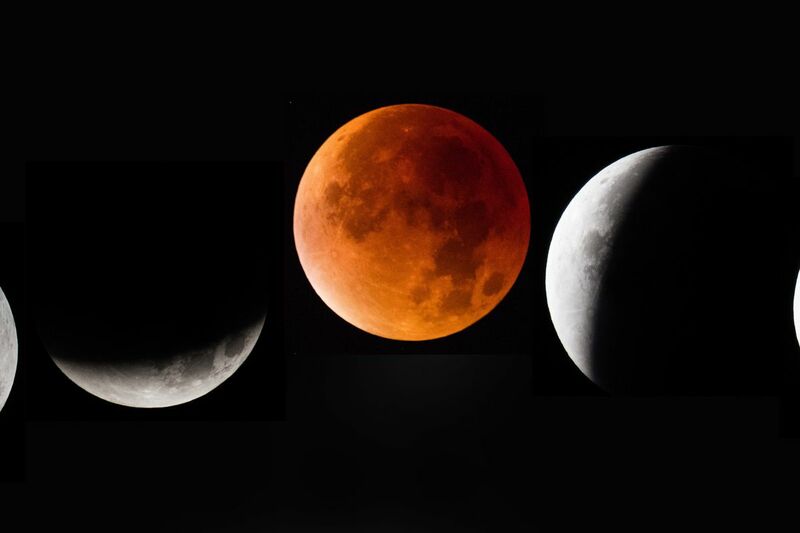 From 1:15am to 2:43am, the moon will be in the middle of the Earth’s shadow and will appear reddish in colour, The eclipse will continue till 4:58am though the effect will not look as great. The total lunar eclipse today will be the longest such eclipse for the next century, until June 9 2123. By 11.54 pm, the Moon will enter the umbra of the Earth’s shadow. The dark shadow will now be seen progressing on the lunar disk. This will be quite crystal clear to the naked eyes. At 1 am of July 28, the Moon will be completely inside the umbra of the Earth. At this time, the colour of the lunar disk will be red with it’s many hues – crimson, brick red etc. The time of the maximum eclipse is 1.51 am. The total phase of eclipse will end at 2.43 am,it will be out of umbral shadow by 03.49 am and completely out of penumbra at 5 am. The eclipse will last for 103.6 minutes. Today’s total lunar eclipse will coincide with another relatively rare celestial phenomenon known as the Mars opposition. Moreover, today’s eclipse is also the Blood Moon,a phenomenon that sees the moon take a reddish hue, this happens because the direct sunlight to moon is blocked by the Earth, the moon goes dark and only reflects the sunlight scattered by the Earth’s atmosphere. The longest Eclipse of the century,Chandra Grahan 2018 is all set to take place in India, around 11:44pm IST today i.e, On 27th of July.